This past week, I’ve been in the Washington, DC area for work purposes. 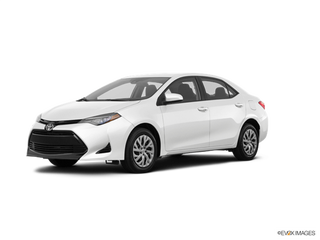 My rental car has been a white, 2017 Corolla LE with the CVT automatic. My impression? It it’s fast enough, brakes well enough and handles well enough for daily commuting duties. And the real world fuel economy good. The CVT is designed to have the feel that is a bit like a regular automatic with some “shift points” and does feel responsive off the line. Compared to my 2005 Focus wagon, it feels a little slower, but I bet it has a slightly faster 0-60 time. The Focus has 136HP and the Corolla is 140hp. The weight is about the same. The best thing about the Corolla is that it feels very polished. Compared to the Focus or the Elantra I rented in the past, it is quiet and smooth (especially given one of my wheel bearings on the Focus is noisy and needs replacing - just got the parts before my trip - just have to install them), the switchgear feels nicer and everything works as you expect it. The seats are more comfortable than the Elantra or Focus too. The only issue I had was I had trouble pairing my iPhone to the radio. I’m sure it could be done, but I recall it being much easier on the Buick Verano I rented in the past. It’s a good, honest, well built compact sedan. But that has more to do with my preference for hatchbacks/wagons and manual transmissions. But I would rent one again. And while the CVT is good as far as automatics go, I think I would still prefer the manual. And while I wouldn’t buy a Corolla, I would buy a Matrix or iM, which is basically a Corolla in hatchback form.